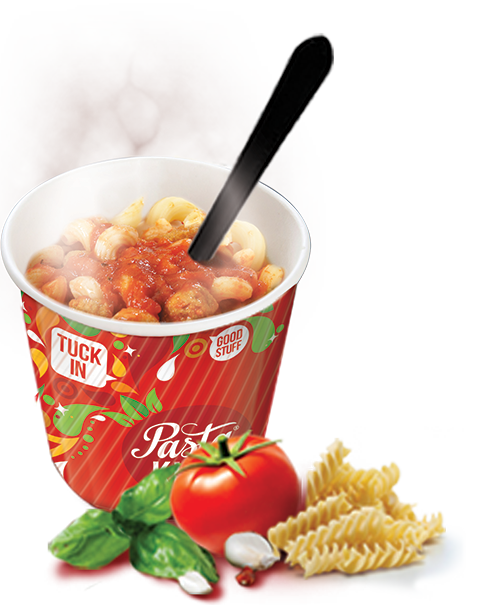 Pasta King meals are easy to prepare and fast to serve – they can be refreshed and served in seconds at the point of sale. 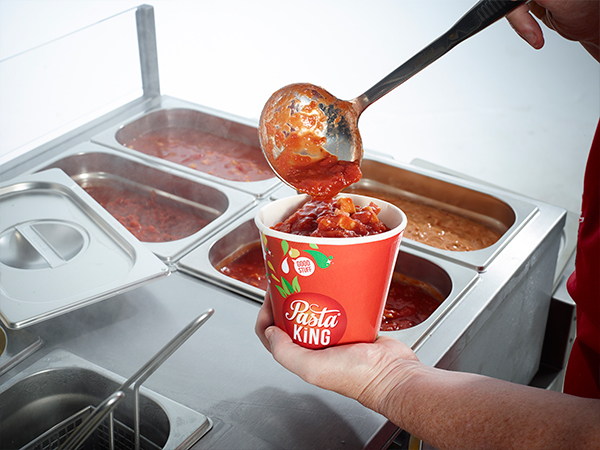 That means shorter queues and shorter waiting times, making Pasta King an ideal queue-busting solution when time is at a premium. We have a superb range of tried and tested sauces that kids love. Stick with best sellers, try a seasonal special, or mix it up. With more than forty sauces, there’s something for everyone. See the full range here. Buy any of our sauces, which come in two pack sizes, and you will receive the right amount of pasta, rice or noodles to go with them, at no extra charge. 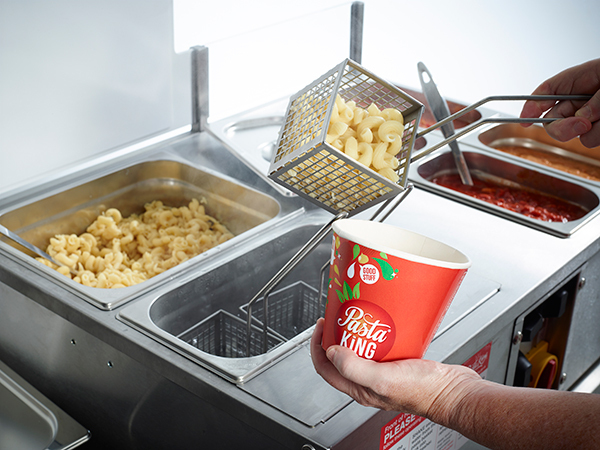 We can also supply a self-contained pasta bar unit where pre-cooked pasta or rice can be instantly refreshed and topped with one of our delicious sauces. The pasta bar is on free loan to you for as long as you need it to serve our meals.  To see our primary schools range click here. Spoon the pre-cooked pasta/rice/noodles into the perforated basket. Lower the basket into the refresher for approximately 6 seconds. Remove the basket from the water and shake it to drain it. Empty the pasta/rice/noodles into the pot or bowl. Now add a portion of sauce from the bain-marie using the ladle provided. For correct portion control make sure the ladle is filled level and not heaped.